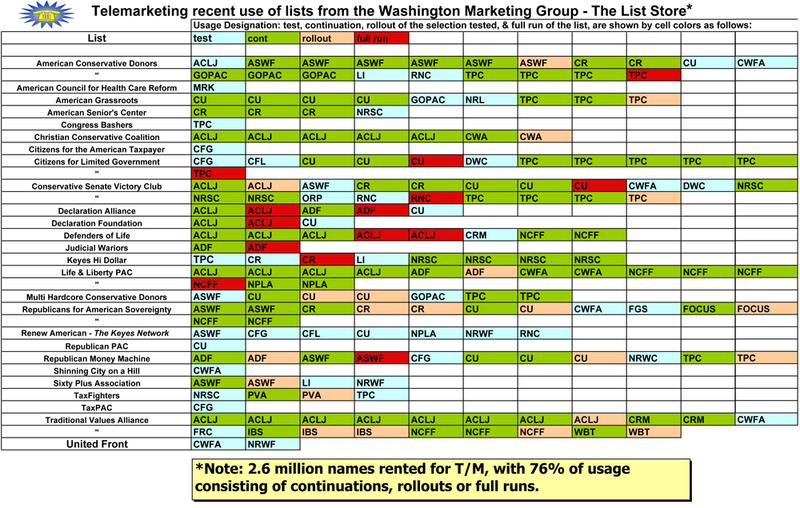 Below are summaries of recent usage across all WMG lists. Click to see it larger. Below is telemarketing usage in terms of continuations, rollouts, and full runs. 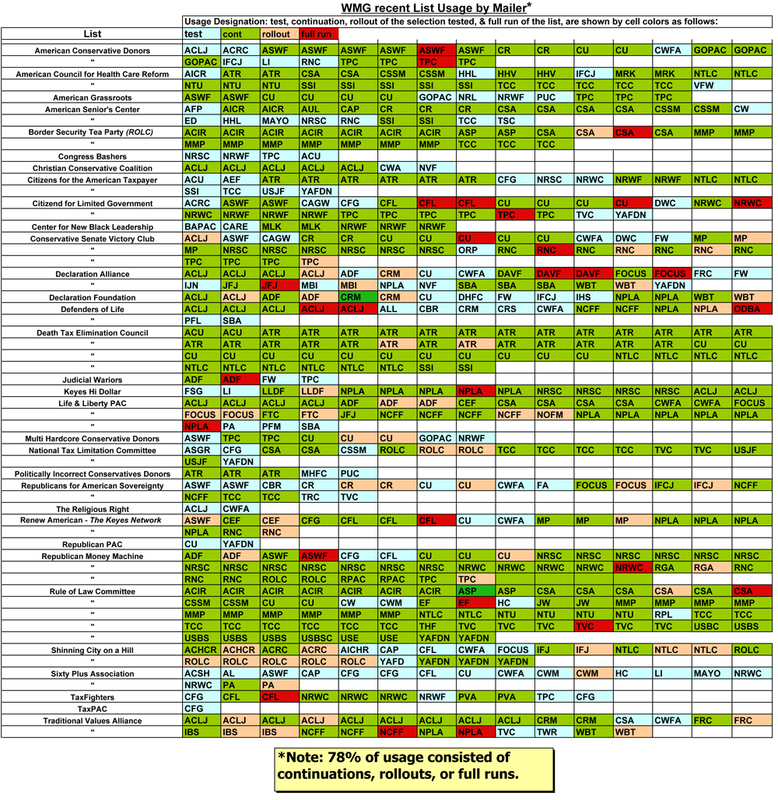 Click to see it larger. Copyright © 2019 The Washington Marketing Group. All rights reserved.